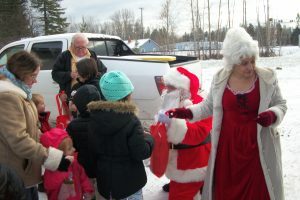 Thanks to the generous donations received from the residents and business owners of Ponderay and surrounding communities this year, Santa, Mrs. 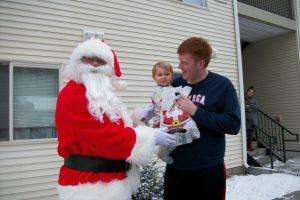 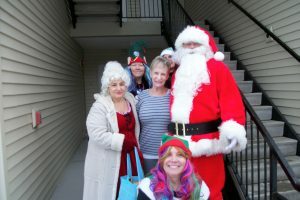 Clause and their elves were able to deliver about 550 “Santa Sacks” on Saturday, December 16th, to community members in need this holiday season. 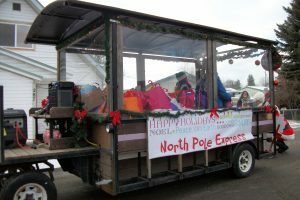 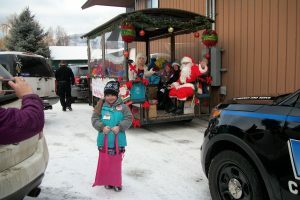 The “Santa Sacks” contain a variety of items including toys, books, hats, gloves, food and holiday treats. 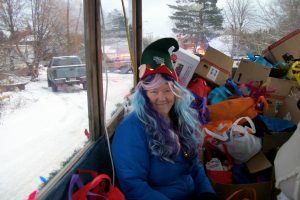 In all about 475 sacks were prepared for children including special sacks for babies and toddlers as well as 75 sacks for local senior citizens. 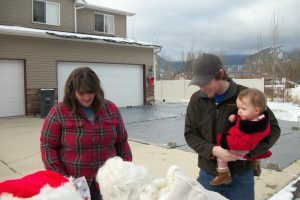 There are remaining sacks available to those that were unable to attend the event on Saturday. 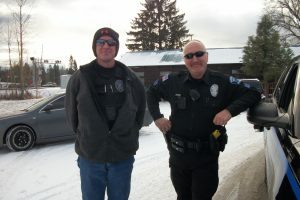 They can be obtained by stopping into Ponderay City Hall on Monday-Friday while supplies last. 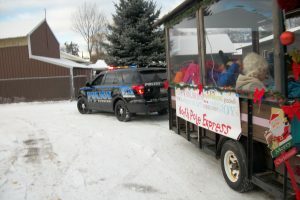 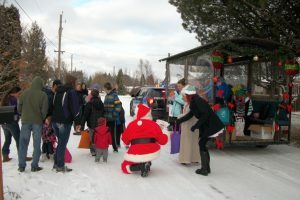 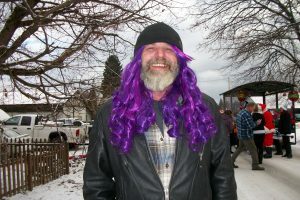 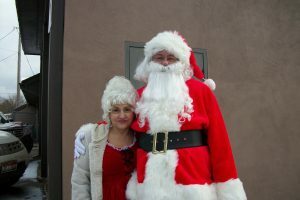 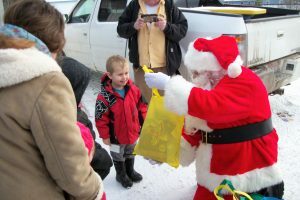 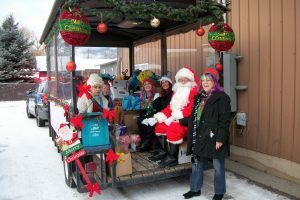 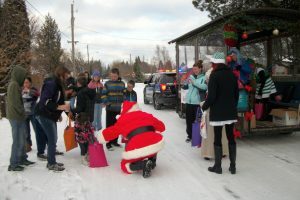 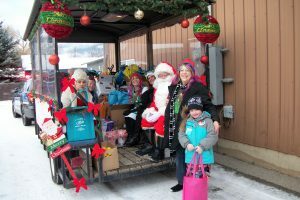 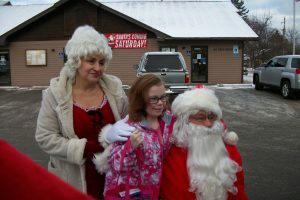 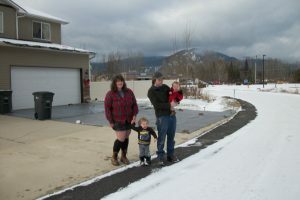 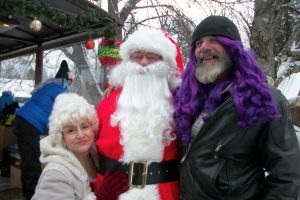 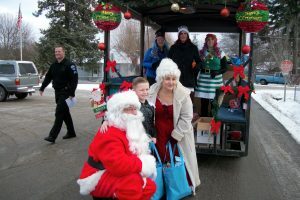 The “Santa Sack” project, which has just wrapped up it’s 14th season, is organized each year by Ponderay city staff, city council members and community volunteers. 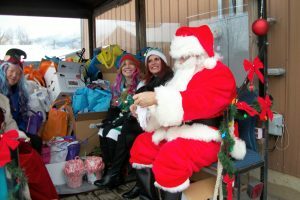 Donations are collected annually which are used to purchase the many items that are distributed to the community through this project.